Warman turns her journalistic talents to historical fiction in her debut novel about the struggle to end apartheid in South Africa and how it shapes a young boy’s life. It’s 1976. Joshua lives with his mother, who is the maid in a rich white family’s house. He stays out of sight most days, especially when Mr. Malherbe and his violent temper come home. Warman carefully layers the power structures and relationships in the house to create a taut atmosphere. 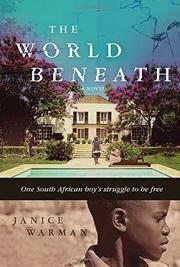 The tension builds when Joshua helps Tsumalo, a freedom fighter who is on the run from the South African police. An altercation with the police sends Joshua running for his life, and from that point on he becomes the readers’ eyes into the anti-apartheid movement. Each chapter feels thoroughly researched, with details about Joshua’s life at a training camp and his return to Cape Town. Joshua grapples with moral questions throughout the book: what does freedom look like? What will be his role in it? And will vengeance bring him peace? Though the didactic tone of the narrative at times makes the story feel distant, these emotional moments with Joshua put heart back into the book.